ARTICLE 1. NAME. The official name of the Section shall be “The Student Section of the Mycological Society of America”. ARTICLE 2. PURPOSE. The purpose of this Section is to facilitate communication among all student members of the Society, enhance interaction between students and the Society as a whole, and to provide an effective way for students to communicate their needs to the Society. ARTICLE 3. ORGANIZATION. The Student Section shall be a subdivision of the Mycological Society of America and shall be governed by the Constitution and Bylaws of that Society. ARTICLE 4. MEMBERS. All student and postdoctoral members of the Mycological Society of America automatically become members of the Student Section. ARTICLE 5. EXECUTIVE BOARD. The officers of the Student Section shall be a Chair, Vice-Chair, Secretary, Treasurer, Communication Chair, Webmaster, Postdoctoral Representative, and Past-Chair. New officers, with the exception of the Chair, shall be elected yearly by at least 51% approval of votes cast from the Section. Terms shall be limited to one year beginning at the annual meeting of the Mycological Society of America. Officers can be appointed by the Executive Board for a one-year term, in the case of a position not being filled via election. ARTICLE 6. CHAIR. The Chair shall preside at the Board Meeting of the Section, appoint committees as deemed necessary for specific tasks, liaison with the program officer of the Society to coordinate the annual meeting programs, and promote the interests of the Section. The Chair shall serve for a term of one year, after having served as Vice-Chair for one year. The Chair shall write a midyear report and submit it to the MSA Secretary, as well as an Annual Report to be submitted prior to the annual meeting of the MSA. The Chair shall represent the Student Section at the MSA Council Meeting. It shall be the Student Section Chair’s responsibility to identify potential student representatives on MSA Committees to the President-Elect of the MSA. ARTICLE 7. VICE-CHAIR. The function of the Vice-Chair shall be to assist the Chair whenever possible. The Vice-Chair shall attend the annual meeting of the MSA, and shall preside at the Board Meeting of the Section whenever the Chair is unavailable. If both Chair and Vice-Chair are unavailable, another officer of the Executive Board, appointed by the Chair, shall preside over the Board Meeting. The Vice-Chair shall communicate with MSA student members about elections and voting on other related orders of business. The Vice-Chair shall be the lead in organizing and forming subcommittees for Student Section events, within MSA and other mycological meetings, and for Student Section events outside of conferences. The Vice-Chair shall be elected for a term of one year, and will transition to serve as Chair automatically for the subsequent year. The Executive Board must approve this transition by majority-vote. In the absence of a majority-approved vote, the Executive Board shall appoint another officer as Chair. ARTICLE 8. SECRETARY. The Secretary shall keep the records, accounts, and files of the Section, write the minutes of the annual Board Meeting and monthly meetings, and shall perform such other duties as may be assigned. The Secretary shall communicate the records and minutes of the Board Meeting and monthly meetings of the Section to the Executive Board in a timely fashion. All records, files, and minutes shall be governed in an online storage database such as Google Drive, maintained by the Secretary. ARTICLE 9. TREASURER. The Treasurer shall maintain records of financial transactions and maintain receipts of expenditures including itemized expenses, reimbursements, and income. The Treasurer shall keep all hard copies of receipts and any other proofs of money transfers of the Section. The Treasurer shall assist the Executive Board in the coordination and allocation of budget. The Treasurer shall write semiannual financial statements, submit these statements to the Chair for the midyear and annual report, submit them to the Secretary for storage purposes, and make them accessible to the Student Section. The Treasurer shall also liaison with the MSA Treasurer. At the annual meeting, the Treasurer shall liaison with Student Section members regarding financial matters. The Executive Board may nominate the Student Section Treasurer to serve on the MSA Endowment Committee. ARTICLE 10. COMMUNICATION CHAIR. The Communication Chair shall be the primary person to update social media outlets such as Facebook, Twitter, and LinkedIn regarding Section special events and updates, and will be responsible for writing articles and press releases in Inoculum, the bimonthly newsletter of the Mycological Society of America. Review of such articles will happen by the Executive Board prior to submission/publication. ARTICLE 11. MERCHANDISE CHAIR. The Merchandise Chair is responsible for the ordering, shipment and maintenance of all Mycological Society of America student section merchandise throughout the year, including transport to and from Mycological Society of America meetings. The merchandise chair is responsible for selling, and delegating selling-duties, during set times at Mycological Society of America meetings. In preparation for Mycological Society of America annual meetings, the merchandise chair will acquire and/or organize shipment and transport of MSA Student Section merchandise to and from the Mycological Society of America meeting; and will delegate the sales of merchandise during the meeting. ARTICLE 12. WEBMASTER. The main responsibilities of the Webmaster shall be to write and send out the Newsletters of the Section and update the MSA Student Section homepage on the MSA website. He/she shall also check the Section’s msafungi.org email account and respond to any inquiries in correspondence with the Chair and the Executive board. The frequency of Newsletters of the Section shall depend on special events and updates, but will be at least three times per academic year: End-of-year, Election of Executive Board, and updates from the annual meeting of the MSA. The completion of Newsletters shall happen as follows: (1) the Webmaster creates a draft and (2) distributes it to the Executive Board, (3) which reviews the draft in the timeframe decided upon by the Webmaster (usually one week), (4) edits and final revisions are made by the Webmaster and the final draft is sent to the Chair for approval of member-wide distribution, (5) the Newsletter is distributed to the student body and/or all postdocs by the Webmaster. ARTICLE 13. POSTDOCTORAL REPRESENTATIVE. A postdoctoral representative shall serve on the Executive Board of the MSA Student Section as liaison between MSA postdoctoral researchers and associates and the Student Section. The Postdoctoral Representative’s roles shall include discussing potential ways to engage the MSA postdoctoral community, and emailing all registered postdocs from the MSA roster to solicit ideas or feedback on potential programs and activities. Additionally, the Postdoctoral Representative shall communicate with faculty to encourage more postdoctoral scholars to become members of MSA, and remind them that postdoctoral members pay reduced rates. The Postdoctoral Representative shall be invited for Hangout meetings as well as for the annual Board Meeting at the MSA Annual Meeting, and shall participate as needed. ARTICLE 14. PAST-CHAIR The Past-Chair shall serve for a term of one-year immediately after having served as Chair. The Past-Chair will not be a voting member of the Executive Board, but shall attend Board Meetings, participate in discussions, and provide counsel to the Chair and the Executive Board. ARTICLE 15. RESIGNATION, REMOVAL, AND REPLACEMENT. Any officer may resign at any time by delivering a written resignation to the Chair or Secretary. Such resignation shall take place upon its receipt or at any later date specified. Whenever in the judgment of the Executive Board the best interests of this Section would be served thereby, any officer may be removed from responsibility by the affirmative vote of two-thirds of the Executive Board. His/her replacement shall be appointed by the Executive Board. ARTICLE 16. REIMBURSEMENT. Officers shall not be entitled to compensation for their services as officers, but may receive reimbursement for any reasonable expenses encountered for or during authorized activities. Any reimbursement must be approved by the Treasurer. ARTICLE 17. COUNCIL REPRESENTATIVE TO THE MYCOLOGICAL SOCIETY OF AMERICA. The Section’s representative to the Mycological Society of America’s Council shall be the Chair of the Section and participate in the Mycological Society of America’s Council Meeting at the Annual Meeting of the Society in accordance with the Constitution and Bylaws of the parent Society. In case of conflict, an alternate officer of the Section may be the representative. ARTICLE 18. FINANCES. 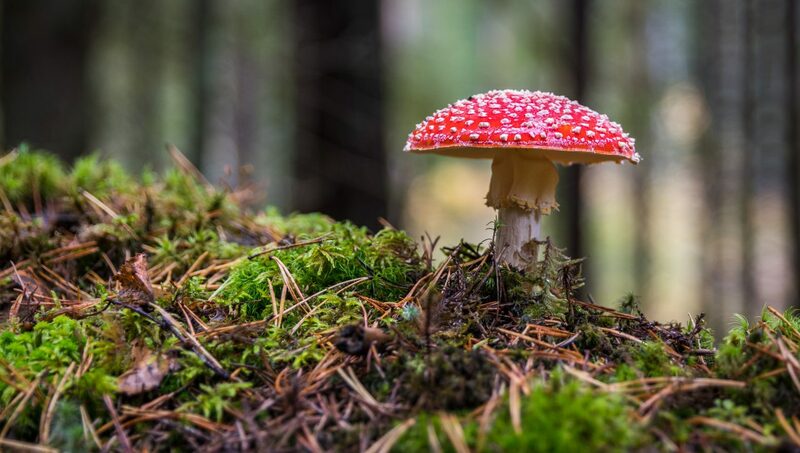 The necessary expenses of the Section are paid from the funds of the Section and/or the Mycological Society of America and shall not exceed the amount allocated for this purpose plus additional funds from contributions from members or non-members of the Section for Section expenses. No officer or member of the Section shall have authority to incur any expense in the name of the Section except as specified above. ARTICLE 19. MEETINGS. Board Meetings of the Section shall be held at least once a year. Ordinarily, the Board Meeting shall be held concurrently with the regular Annual Meeting of the Mycological Society of America, but if such a concurrent meeting is not feasible, then the Executive Board of the Section shall decide when and where the Board Meeting will be held. This or any other Section meeting may be held at other times and places by call of the Chair or by written request by at least five members of the Section. Notice shall be sent to each member of the Section ten days in advance of any such meeting. All members of the Society are welcome to participate and observe during Board Meetings. ARTICLE 20. PUBLICATIONS. The Annual Report of the Section and its official notices shall be eligible for publication in Inoculum, the bimonthly newsletter of the Mycological Society of America. Any publication (posters, articles, notices, and reports) of the Section must be approved by the Executive Board before submission/publication. ARTICLE 21. AMENDMENTS. These Bylaws may be amended by majority vote of voting members by mail and/or electronic ballot, provided that amendments have been discussed and approved by the Executive Board and that notice has been given to all student members thirty days in advance. The 2017 Amendments to the Student Section Bylaws were unanimously approved by the Executive Board of the Mycological Society of America Student Section on November 14th, 2016 and ratified by a member-wide vote in June-July 2017. Please contact the Webmaster at students.msa@gmail.com with any questions or comments. Not looking for the student section webpage? You can find the official MSA site at msafungi.org.